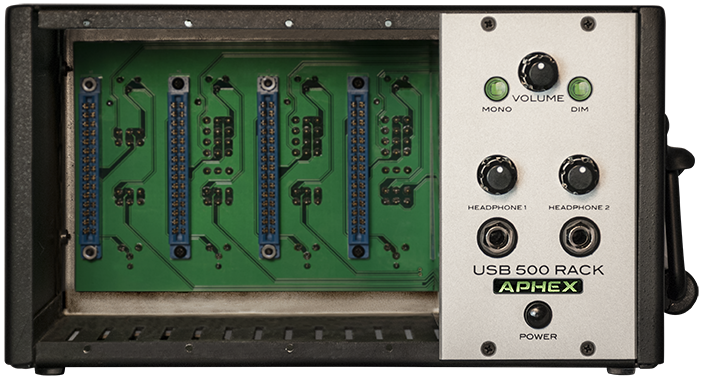 The 4 slot Aphex USB lunchbox accepts and powers any 4 x 500 series modules. Uniquely it can connect to the outside world either via analogue or via USB. This means that you can just plug 500 series pre amps etc straight into your laptop via USB, you can also use analogue 500 series compression, EQ, delay, filter and di etc as an insert on your in the box mix.